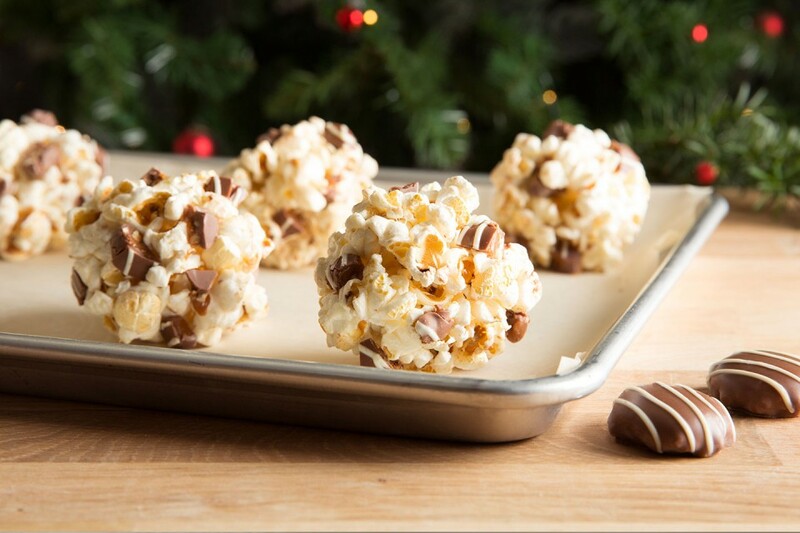 We're lovin' the 'no oven' for this creation (more time to bask in sweet & salty bliss). In a large saucepan over medium heat, combine corn syrup, butter, cold water and marshmallows. Heat and stir until mixture comes to a boil. Carefully combine hot mixture with popcorn, coating each kernel. Remove from heat. Allow the mixture to cool slightly (approximately three to five minutes), then mix in TURTLES Pecan Praline pieces. Before it cools completely, grease hands with shortening or butter and quickly shape the coated mixture into balls. Wrap with plastic wrap and store at room temperature.